New record low set in the coldest city in the continental USA – much of the country headed for a deep freeze | Watts Up With That? As we begin 2014, it will usher in record cold temperatures. Next week looks quite cold as this forecast for Tuesday shows. International Falls, MN set a new record with -42ºF. ...RECORD LOW TEMPERATURE SET AT INTERNATIONAL FALLS MN...THE TEMPERATURE WAS -42 DEGREES AT 5 AM IN INTERNATIONAL FALLS MN. The International Falls, MN Airport had a record of 8 days with a temperature of less than -30 F in December. This breaks the old record of 7 days. The coldest temperature was -37 on the morning of the 30th. The high temperature for the month was 34 degrees on the 27th. As of 7AM Central Time, Embarrass had dropped to -46 F.
2014 is setting out to be another inconvenient year for the CAGW crowd. This brings to mind a question to add to Bob Tisdale’s list. For 25 . . . years we’ve been promised . . . global warming. Where . . . is it? I want a refund. Profanity free, but can be added for effect. -35C this morning. “Normal” minimum is -17C. Wind chill is cheating and isn’t included in that. Forgot to mention. Record low was -32C in 1981. Sudbury, Ontario. Anthony, please note that the Probability of -20°C temps is at 850-hPa. Looks like the Farmers’ Almanac was right. Bitter Cold this year. Anthony, what altitude is that probability graph for? This needs to be named, like Super Freeze Polar Bear. The Ash Lake MN-DOT station is reporting -37 with a -30 wind chill. That can’t be, data entry/reporting problem. No big deal – either way it’s cold. Minus Effing eleven effing F in Plattsburgh NY. The aircraft are mostly functioning except for the odd electrical gremlin. Quit whining. This is weather not climate and besides, the “climate change” caused by all of your excessive use of cabon fuels is predicted to cause extremes in weather; hot, cold, wind, calm, wet, dry, it does’nt matter. Just ask Algore. You’ll find him in his 24,000 sq ft home or in his jet, flying high above all the rest of us. yep – Deep incursions of arctic air into the continental interiors and yet the global temperatures are still relatively unaffected. The quiet sun causes changes in weather patterns. That presupposes that a) the weather and temperature will be honestly reported and b) that reality will somehow penetrate the overly thick skulls of the CAGW crowd. I would opine that no evidence exists for the latter supposition. 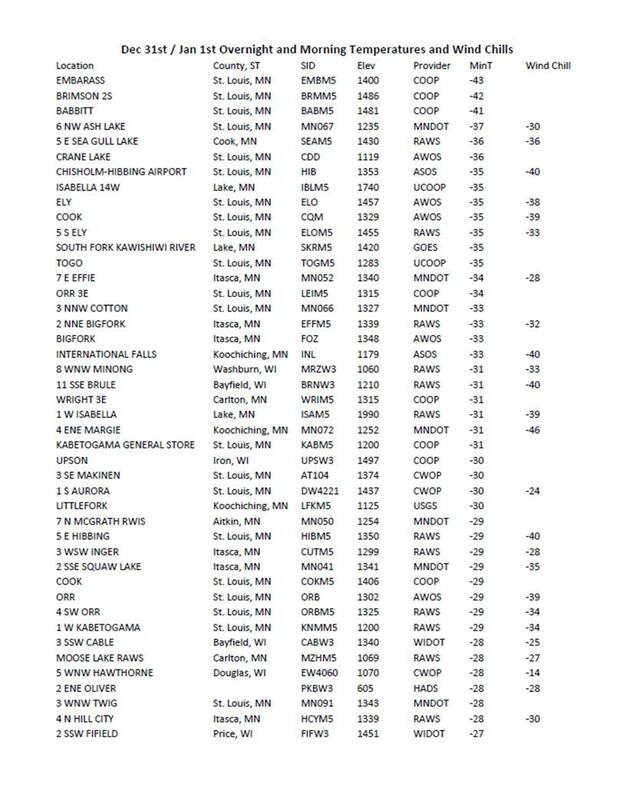 Embarrass isn’t the only good town name in northern Minnesota….there is also a Fertile, MN and a Climax, MN. Years ago there was a headline in a local newspaper that read something to the effect of “Fertile Woman Dies in Climax” True story. What’s precipitation look like. We’re likely to get another month where data sets wildly disagree. I precip is up, some satellite data may catch warming from latent heat release while the very near surface sees a drop. Warmed up to -24C here,NWT Canada, positively balmy after two weeks in the -40s. An interesting feature of that temperature map is the “warmer” temperatures over the Great Lakes. That is because the lakes are mostly open water, and giving up heat like crazy. This will cause the lakes to start to freeze over. If they freeze over then the air passing over them is no longer warmed, and the lands in the lee of the lakes get much colder. That includes the big east coast cities. And do not forget all that Lake Effect Snow dumped on the Southern Tier. Lake-effect snow hammering points east and south of metro Buffalo headed farther south… 4 to 6 inches in the Southtowns and the Southern Tier. I DO NOT miss shoveling all that snow! Don’t know, but when you’re freezing your a** off, leaving a letter or two out is probably an expediency worth the embarrassment. Better to turn the other cheek. I just spent the longest 14 days of my life in Rochester, Minnesota when the thermometers seemed stuck below 20 for all but two days. Nighttime temps were 20 below almost every night. Driving south from Minneapolis, it was so cold that my rental car wouldn’t stream de-icer til we got out and broke off the build-up. I used to think Colorado was cold. Colorado’s state record low temperature is −61 °F set in Maybell, in northwestern Colorado, on Feb. 1, 1985, according to 7NEWS Chief Meteorologist Mike Nelson. According to records kept by the National Weather Service, Denver has hit -20 or colder 29 times since records were kept in 1872. Thought I’d died and gone to heaven to be back in Colorado were temps were in the 30’s and 40’s. Regards for the new year. It looks like this year’s trend to colder winter weather is part of the trend that started already in 1998 for most parts of Northern Hemisphere . In Canada the cold cranked up an extra notch after 2010. Winters in about 60 % of the country including the Prairies, Northwestern forests, Mackenzie district, Arctic Tundra, Mountains and Fiords have seen winter tempertaures drop by 4.5 to 5C since 2010 and this year, the winter tempertaures will be even colder. Anybody with 160 meter (ham/amateur radio) capability is invited to join the Weather Net on 1995 kHz (LSB or lower side band mode) at 7:30 PM Central Standard Time … reports of temperature, snowfall, sky condition etc are welcome! Alternatively, one and all are invited to simply ‘tune in’ at that time! Stations check in from MN, IA down to Texas. Net control first calls a series of stations who have checked in previously followed by a ‘call’ for any newcomers/new stations wishing to check in at about 7:45 PM CST. could the weather be getting cooler instead warmer? Minus 42 F. What a joke. Alaskans are a lot tougher than that. According to the “weather-warehouse.com”, the AVERAGE minimum temperature for Fairbanks, Alaska in 1971 was minus 40.7 F. And I was there every day. By the way, be on the lookout for any reports of deaths caused by the brutally cold temperatures. Our corrupt MSM likes to reports deaths associated with hot weather…I’m curious to see if they do the same for cold weather. Probability of -20°C temps is for 850-hPa. perhaps you should explain this to folks as it’s misleading to folks who dont read the fine print. Where in the heck is Mr. Gore’s global warming when ya need it? Air temp of 10°F (-12°C) with a wind chill of -8°F (-22°C). And the snow keeps on falling, with a forecast of at least -15°F (-26°C) wind chill tonight. I’m afraid the color scale on the first image has dun my head in a bit. What’s wrong with a graded blue-to-red or something similar? Correcting an error in my post above: The average of minus 40.7 F was for January 1971. I admit that I missed a few days at the beginning of that month, but was there for the cold part of the month, which shows two daily lows of -60F, one of -59F and two of -58. And to think, there’s a whole other country north of there…. Mark Johnson says “Minus 42 F. What a joke. Alaskans are a lot tougher than that.”. There’s always someplace colder. Someplace with more snow, etc. etc. etc. Been there, done that. Going down the highway when it’s so cold your tires are frozen out of round. Bump bump bump. Ryan Maue beat you to it, Steven [or, you’re just piling on]. This was already explained @ 8:00 am above. Now, can you explain whether this chart [credit: Ulric Lyons] is misleading? Altitude has nothing to do with it. The temperatures are empirical measurements taken from ice cores. How many ‘hockey stick’ shapes can you count? Ten? Twenty? More? And how is the most recent [very small] Mann hokey stick any different from all the other natural global warming events? Enquiring minds want to know: where is the “human fingerprint”? Please, show us. Because I can’t see one! What’s the difference among friends of approximately 4600 ft (1400 m) (less for height above sea level across the land)? Meaning: In the standard atmosphere 850 hPA represents approx 4600 ft (1400 m). Realistically, you need to look at the ‘soundings’ (radiosonde pressure vs height) data to determine this height. Maybe the answer is not so simple? Doesn’t matter Anthony, in the First week of October we’ll be told that the Northern Hemisphere “warmed” no matter what the temperatures. Make that the First week of February (not enough coffee). I’d like to hear Mann’s reaction. Cleveland could suffer mightily and Pittsburgh is just a few miles down the road. especially when you know the 850 hPa will be colder. Sorry the minute I saw the switch from 2 meter data in the first panel to 850 hPa in the last panel I made my comment. I generally don’t read all the comments since most of them will not be probing or questioning, but rather cheerleading. with temps at 2 meters without clearly calling out the switch. i will say there is an exception to when I read the comments before posting. That would be when somebody like Goddard posts post on volcanos. Did that happen recently? Where there is record cold there will be record warmth in any hemisphere, given the interconnected nature of weather patterns (via the Jet-stream). It’s called weather. The moving around of air-masses. Have you not noticed that there seems to be greater variability/extreme in that natural process over recent years? There is only so much heat available to spread around the hemisphere given that the Sun’s irradiative output is steady (I mean on a monthly basis at least). Albedo increase (energy reflected) via snowfield build-up reflects more out of course, but the Sun is low anyway and differences average out via upper-air movement over the hemisphere. Basically air-masses are moved N>S via jet-stream “kinks” – the one over the US has brought down a large portion of the Polar Vortex into Canada. Elsewhere there have been ridges in the jet towards the Pole. A persistent one this year has been through the Bering Strait into the Chukchi Sea, making E Siberia and Alaska warmer than normal. The Polar Vortex is forecast to split from the Stratosphere down in around 2 –3 weeks time, one portion going into Russia and the other….. stays over Canada. So I cannot see any let-up in the cold for the US in the foreseeable. However, the vortex falling into Russia may well bring winter proper to Europe later this month and most certainly will to Moscow. Maybe you’re missing context too – did you notice the (differing) area and extent (and scale) depicted in each graphic? Did you notice the time frames as well (i.e. the same)? B) its not an empirical measure, but rather an estimation. star wars depended on this science being true. There was a fire last year in yosemite. Investigation indicated that it was started by hunters. Note, the evidence is not conclusive but everything pointed at it. However, in the past there have been fires when there were no hunters. Therefore because there have in the past been fires with no hunters present, can we conclude that last years fire could not have been hunters. in short, the causes of prior climate variability tells us nothing about the causes of the present variability: many things can start a fire. many things can cause warming and cooling. Here in New Hampshire, I’m at about 400 ft elevation, so the difference is about 21°F. International Falls is about 1200 ft, so it should be about 17°F. Daytime or other times with good mixing. New Hampshire’s low temp is some -50°F, recorded in a northern valley. On top of Mt Washington (6288′), their record is -47°F. However, I agree a 2 meter map would be much better. And at the moment, 5.6°F and light snow. Oh – and the map shows by color area the probability it would be -20°C cold or colder at that level of the atmosphere, and the contours show the expected low temp. Full agreement. Also, global warming has stopped. Maybe temporarily, or maybe permanently; we don’t know. But global warming stopped years and years ago, confounding the alarmist contingent, who unanimously predicted that global warming would continue due to the steady rise in CO2. The (1) ‘jet stream’ drives all this or (2) the jet stream is an artifact of the movement of differing air masses (fronts)? Birdsville 48.6°C. Moomba 49.3°C (120.7°F). UKMET, 2013 second coldest in 20 years. 1a) ‘No error bars’ does not mean that ice cores are not a reflection of past global temperature changes. I have charts showing very strong correlation in ice core temperatures between the hemispheres [will post on request]. 1b) Oh, but an ice core measurement is an empirical measurement; every bit as much as a thermometer measurement. 2. See 1a above. The ice core temperature record strongly correlates between the NH and the SH. When one hemisphere rises or falls, so does the other. Thus, the ice cores reflect global temperature changes. Scientists taking those measurements would argue strongly that they represent an accurate record of global temperature changes. Next, the “physics of CO2” was not mentioned. Therefore, that is a red herring argument. Ice core measurements are a global proxy, because past temperatures in both hemispheres rise and fall together. 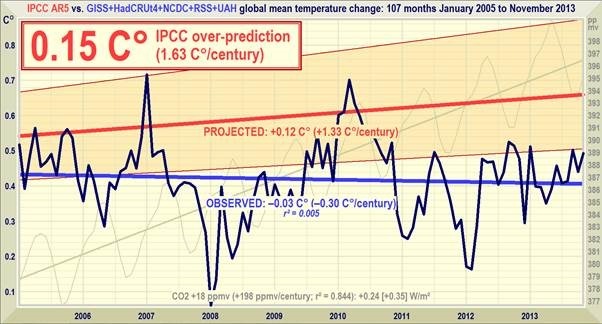 That is very strong real world evidence that the chart posted reflects actual changes in global temperature. 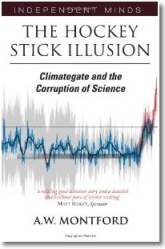 Next, I agree that past changes in global temperature “tells us nothing about the causes of the present variability”. But that was not the question. The question was: where is the “human fingerprint” in the chart? Mann’s pitiful little hockey stick shape is minor compared with numerous past natural hockey sticks, many of which show a sharper rise in temperatures than Mann’s. Both Occam’s Razor and the Null Hypothesis argue that the current climate is natural, too. There is no testable, measureable, empirical scientific evidence showing that human CO2 emissions are the cause of Mann’s little blip. Watching the History Channel I finally figured out what sends us into and out of Ice Ages. As Ancient Alien Astronaut Theorists suggest Alien’s visited Earth and spread around their evil UFO emissions bringing us out of Ice Ages. Then the Ancient Alien Astronauts went away and the temps dropped and we re-entered an Ice Age. But then those evil Ancient Alien Astronauts came back and we once again sprang out of an Ice Age. These Ancient Alien Astronauts have made their return and we have documentation they have returned, Rosewell, NM, etc The deep freeze is here because the Ancient Alien Astronauts have recently left, say Ancient Alien Astronaut Theorists. I’ve been watching Lake Superior for the last few days. looked pretty normal with plumes of “sea smoke” coming off the big lake at anything less than – 5 F. Driving past Duluth MN today the lake is now iced over for a few miles out from the harbor entrance which it wasn’t a few days back. The vast majority of the lake appears to be mostly ice free with a thin skin of ice in some sheltered bays. Take that observation with guidance as I drove only about 60 miles of its 1200 mile coastline. The big lake doesn’t completely freeze very often, needs a combination of very low temps, which we have, and light winds. That combo occurs maybe every 11 years or so. The coastal areas immediately around the big lake are kept ‘warm” in the winter by the lake itself which stays at a pretty constant 40 F all year round. I think that’s what the weather maps are showing. This “warmth” can create an issue with deer being attracted to the lakeside areas, where most of the people are, with a resulting increase in deer/vehicle encounters. correction : The big lake doesn’t completely freeze OVER very often, needs …….. I lived in Alaska for many years and have been to Fairbanks in the winter. “The coldest winter I ever spent was a summer in San Francisco.” They refuse to turn the heat on because it is, after all, summer in California. You don’t have to build a better mouse trap to show that the current mouse trap isn’t catching any mice. That’s not how science or the scientific method works. Australia has just sweltered through its hottest year on record, according to the Bureau of Meteorology. Average temperatures were 1.20 degrees Celsius above the long-term average of 21.8C, breaking the previous record set in 2005 by 0.17C, the bureau said in its Annual Climate Statement. All states and territories recorded above average temperatures in 2013, with Western Australia, Northern Territory and South Australia all breaking annual average temperature records. The country recorded its hottest day on January 7 – a month which also saw the hottest week and hottest month on record. A new record was set for the number of consecutive days the national average temperature exceeded 39C seven days between January 2 and 8, 2013, almost doubling the previous record of four consecutive days in 1973. The highest temperature recorded during 2013 was 49.6C at Moomba in South Australia on January 12, which was the highest temperature in Australia since 1998. 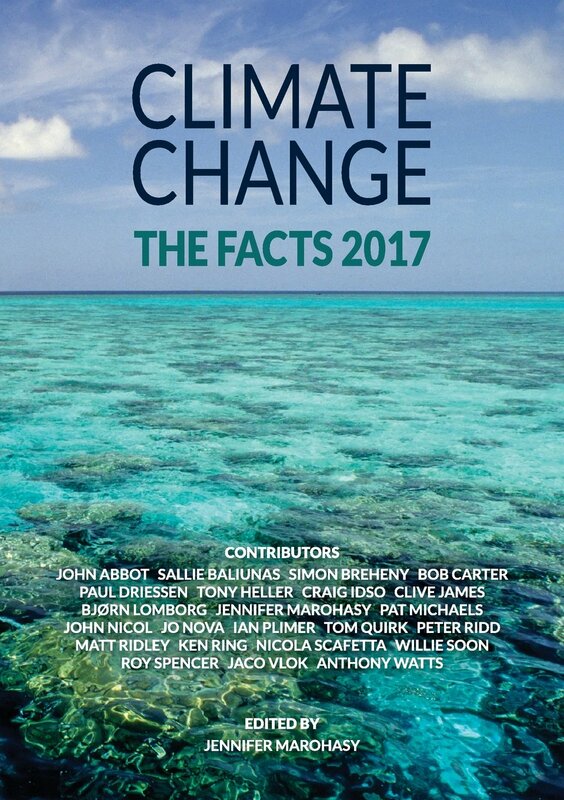 Australian temperatures have warmed approximately 1C since 1950, consistent with global climate trends. Globally, each of the past 13 years since 2001 have ranked among the 14 warmest on record. It is correct that Minnesota has not been a very nice place to be for about the last month (other than the northern lights, which have been great). I think we were around 20 degrees F below average for the month and January isn’t starting out any better. got pretty warm here today in central Maine, from 130 to 330 pm was our warmest point, -7 F.
at 430 pm back to -9 F.
This leaves it open to the possibility there are siting issues, UHI issues and calibration issues as opposed to a definitive statement that closes the door on such issues. Please, could someone please tell me how cold it is in Frostbite Falls, MN? These things are interesting and important to note. But things appear to be very quiet on the issue of the appalling weather and continual storms battering the UK. The situation is extremely unusual, if not unprecedented. The UK governments emergency committee ( COBRA) is in session to try and assess how to minimise damage to our infrastructure. Well, you could try looking at the rest of the world. You know – that ‘G’ in GLOBAL warming. It was the hottest year on record in Australia – along with experiencing the hottest month, season and days on record. But hey – USA! Yeah, you’re right. There might be siting issues. It may have been hotter. Or you could just accept that the people taking these measurements know a little about such things. Australia and USA often at opposite extremes ie super hot here , super cold there, fits above theme. Re the 2013 temperature Oz is 1. 2 degrees above the 1950’s to now average and a whopping???? 0.2 degrees above the previous highest 2005. LOL. Personally we had what seemed a colder than normal winter, unable to go out for my bike rides as much in winter, although the winter months here were said to be warmer. The Jet-stream drives movement of air masses – the jet being an artifact of the juxtaposition of air-masses (where their horizontal thermal gradient is greatest – at jet level ~30000ft). But there is chicken and egg. With a feedback to the jet of the influence of surface features vis dense cold air over snowfields, warm ocean temps + hemispheric wave patterns that circulate the globe (one such is the Madden-Julian-Oscillation). Recently discovered also are Tropospheric waves that are driven through the tropopause into the Stratosphere downwind of high mountains – the upcoming from the Himalayas). The down-side of the wave is warmed by compression and gets entrained into the Strat vortex that overlies the Polar Vortex that is bringing your cold weather. It is this warm-wave that is forecast to mix into the strat vortex in the coming weeks and cause it to split, down-welling to also split the Trop vrortex. There has also been general agreement that Low Solar activity causes same via a “top-down” effect of warming via destruction of O3 via Galactic Ray or UV incidence. This primarily affecting European winters anomalously (LIA and recent low solar activity too). orion, you are right. The world is warming. At the end of WW1 the world was about 1°C cooler and look at the impact of the change! Mankind is on the edge. It seems we may have the wrong priorities. “Now, can you explain whether this chart http://snag.gy/BztF1.jpg [credit: Ulric Lyons] is misleading? And how is the most recent [very small] Mann hokey stick any different from all the other natural global warming events? Here’s the more up to date chart that shows the human fingerprint. The Chart above shows the temps up to 2009. The one dbstealey posted does not. The circled Mann hockey stick in the chart dbstealey posted is not correct as it ends 95 years before the year 2000, which is the year Mann’s hockey stick ends. How do ‘jets’ drive these air masses, when they are parallel to them? Can you point out where the jet was last night? We had a pronounced cold front move in about 7 PM last night, and the wind picked up about midnight .. where was the ‘jet’ about that time? The slope – yes the one you are panicking about – how many times do you see it, or a steeper one, ‘before present’ in your chart? You’re right on this too. As we have found here in the states … do you have facts or information to support anything different? Do your ‘sites’ adhere to any particular siting guide or established policy, something ISO 9001 compliant even, covering cal (calibration) intervals and the like? Written by Ken Stewart, an unqualified blogger on the weather. His work is not peer reviewed. Is your memory that short … you wrote that above! Oh – or are your citing only the rising temps in the outback? 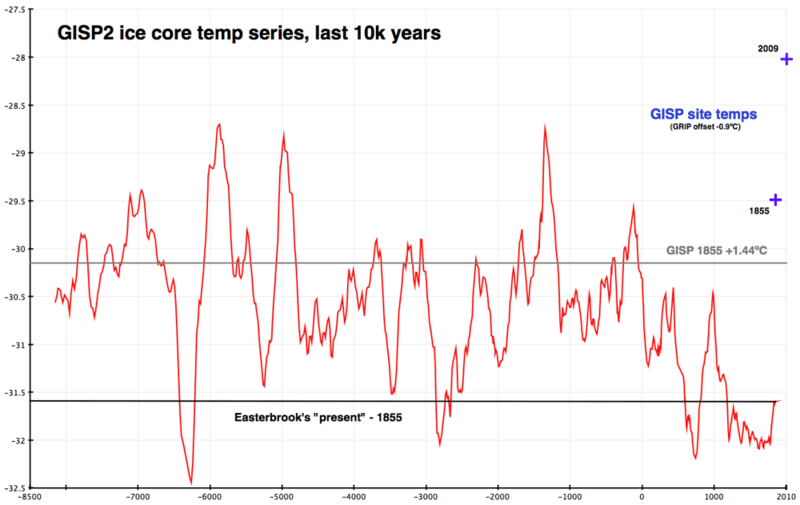 But, you wrote, “Australian temperatures”, not ‘Aussie outback temps’ … see the difference? Moving the goal posts … you win! Well then perhaps a peer reviewed person like yourself, Martin, can point out the flaws in Stewart’s analysis and results. No, it doesn’t. That is simply Martin’s baseless assertion. In fact, there is no testable, empirical scientific evidence showing any “human fingerprint” in the planet’s natural, on-and-off, step change recovery from the Little Ice Age. Here, let me explain so even Martin can understand: if there is a “human fingerprint” from rising CO2 emissions, then global temperatures must have contimued to rise steadily [in fact, global T rise should be accelerating]. But global warming has stopped. Even rational warmists now admit that fact. And going back a century and a half, we see that the prior warming is simply a continuation of the natural recovery from the Little Ice Age. Note that the natural global warming remained within the same long-term temperature parameters. There is no indication of any “human fingerprint”. Next, before the 1940’s, CO2 emissions were much smaller. Yet, global warming was evident then, and the rate of rise was the same as post-1940’s. If there was any “human fingerprint”, then the rise in T after the 1940’s would be more pronounced — and there would not have been any pause for twenty years after the early ’40’s, when CO2 was ramping up fast. We see the same thing in this Phil Jones data, which indicates no “human fingerprint”. From about 1880 to 1910, global warming stalled. Thus, human CO2 emissions could not have been the cause of global warming. As we see, the planet warms in natural step changes, which are very similar in duration and degree. Keep in mind that Jones is one of the original purveyors of AGW. But again, there is zero indication of any human “fingerprint”. Even GISS, comparing empirical observations to the IPCC models, shows that there is no recent global warming — and thus, there is no “human fingerprint”. Anyone can assert that there is a “human fingerprint” in natural global warming. But assertions are meaningless when they are baseless, such as Martin’s assertion. Simply looking at a chart and saying, “AHA! I see a human fingerprint!” means nothing. You must provide testable, empirical scientific evidence showing a direct connection between a rise in temperature, and human activity. So far, no one has been able to make that connection, per the Scientific Method. The jpeg format is GREAT for photos and other continuous images…it is horrible for line drawings or text. USE PNG INSTEAD, PLEASE. Phil Jones admits to having zero Excel skills. That doesn’t stop him from being a climate scientist (whatever that is). The $#@$@ Rex Block is punishing NOAM at both ends. Drought in the West and deadly winter conditions in the East. A bad deal all around. BOM are a joke. The way they consistently jack up temperature records that are essentially flat is a scandal. I no longer give any credibility to anything they come out with. The art of fraud is to know when to stop before it becomes blatantly obvious. A statement which is “consistent” with there being no global warming for the last 14 years. Thanks for your input. I agree that there is only so much cold to go around, and cold in one area will result is warmth in another, however I think the repercussions of a loopy jet stream, (I think Dr. Tim Ball uses the more respectable word “meridianal,”) (however spell-check prefers “loopy,”) may be to somehow click a switch and kick the AMO from warm to cold. A “zonal” jet stream keeps the cold going around and around at the Pole, and sub-polar lands get milder winters. However a “meridianal” jet stream allows arctic outbreaks such as the one we are seeing. As you mention, the albedo-effect of southern snow-cover is created, as is the ability of southern nights to lose heat due to radiational cooling over that snow, and sometimes lakes that seldom freeze become frozen, and so on and so forth, until things are back in balance and we can go back to a nice, neat zonal flow around the Pole. I think what threw things out of balance was the switch of the PDO from “warm” to “cold.” (Not that the Pacific as a whole is colder, but the placement of the cold waters is different.) It takes the AMO a while to get in sync and dance to the same tune, and the process of the Pacific giving the Atlantic a slap so the Atlantic will stop treading on its toes as they dance involves a loopy jet-stream. However they will only be in sync a while before the Pacific again changes, and the Atlantic will back in the position of playing catch-up. It is increasing our understanding of these cycles, and of the dynamics that cause these cycles, that we should be throwing our money at (if we have any.) If we understood them better farmers (and others who depend on a gamble with weather) might get a heads-up and have a better chance to prosper. Throwing money at Global Warming is cynical political humbug, an exercise in futility, and, even if it is successful in grasping power, it will be a feeble power, for there will be no prospering involved. Therefore, the next time the government prints a couple billion we don’t have, rather using it to fund the pensions of Alarmists whose forecasts are proven failures, I think a couple million should be funneled to Bob Tisdale, whose honest observations of actual temperatures are worth ten, if not a hundred, times the fictitious balderdash produced in the cyber-world of Alarmist climate-models. in short, the causes of prior climate variability tells us nothing about the causes of the present variability: many things can start a fire. many things can cause warming and cooling. To be thinking that every change and inflection in climate temperature history needs a separate cause means that you are not yet ready to begin meaningful study of climate since you dont really understand chaotic-nonlinear dynamics (this applies to anyone and everyone). With the same total confidence with which you assert that CO2 warms the climate, I’m here to tell you that the climate is a chaotic-nonlinear system, on account of being a dissipative far from equilibrium system full of feedbacks and much other obvious evidence. Climate science begins with the paper by Lorenz 1962, Deterministic nonperiodic flow in the same way that evolutionary biology begins with Darwin’s Origin of Species. For most “climate scientists” this beginning still lies ahead. No other paper in the history of science has at the same time been so important, so revolutionary and so criminally ignored as DNF62 by Lorenz. OK I’ll get to the point – climate changes ALL BY ITSELF. As Lorenz demonstrated with his primitive computer a million times weaker than a modern smartphone, chaotic-nonlinear climaye change under constant parameters can oscillate near one value then jump to oscillate around a different value WITH NO EXTERNAL CAUSE. 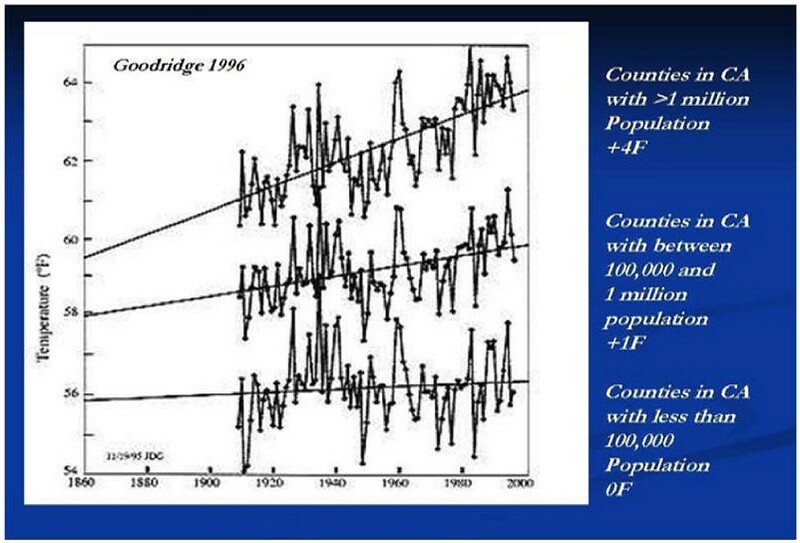 There is a very simple answer to your question what caused the numerous hockey sticks that dbstealy correctly identified in the climate record. What caused them? NOTHING. Mangroves reconsider, head south again. Dude, here in the MidWest, the wind is directly from the North at the moment, gusts up to 25 mph today. 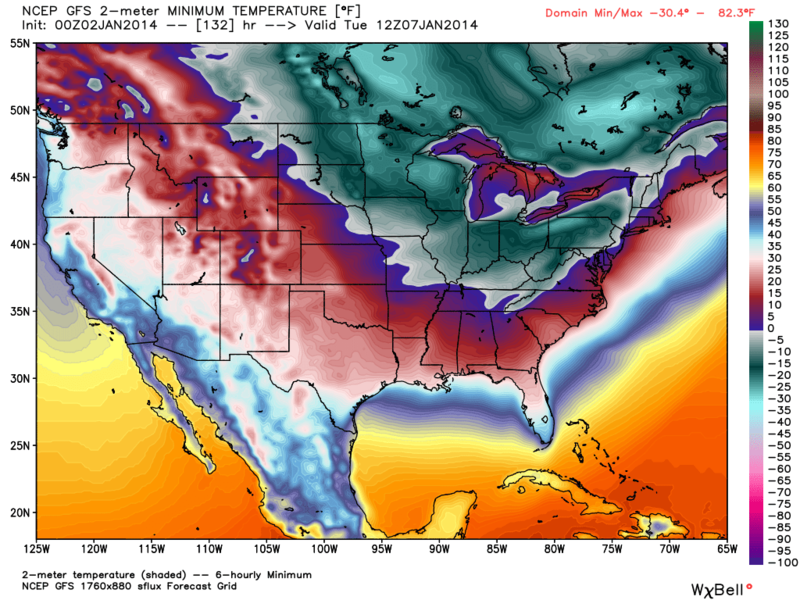 What with the Arctic being delivered directly to us, of course it’s cold…. Record heatwave too in Argentina. A heatwave affecting Argentina has left at least seven people dead – most of them elderly – in the past week, officials say. The heat has been compounded by power cuts, which have prevented many people from using air conditioning. In Santiago del Estero and other northern provinces temperatures have soared to over 45C (113F). Meteorologists say it has been the worst heatwave in the region since records began in 1906. Must be in cahoots with the BOM as well and jacking up temperature records that are essentially flat hey Greg? However that may not be enough to lessen the length of the pause or whatever you wish to call it. RSS for December has just come in and as a result, the year 2013 will rank 10th on RSS. A year ago, the length of the pause on RSS was 194 months. Now it is 208 months, (17 years and 4 months) or an increase of 14 months over a 12 month period. You almost need to be in the top 5 to have a significant affect on the length of the pause. So 2013 is nothing to celebrate for warmists. Using USCRN stations the average CONUS temp for 2013 was around 11.51°C ( 52.71°F ), a large drop from 2012’s 12.96°C ( 55.32°F ). Though it’s just a short history of four years with the full 114 CONUS stations, 2012 had eight of the record hot months, while 2013 has seven of the record cold months, and the coldest second half of the year. Are we on a steep downward curve, with Jan 2014 continuing the cold pattern from the second half of 2013? Record lows occur when you have snow cover and very low dew points. However, CO2 has DOUBLED. What this means is that record lows should not occur. Since they are occurring with frequency, it shows that the CAGW theory is in serious trouble. However. Think of the jet stream and the point in the troposphere where differing air masses meet. The more “squeezed” together they are, the stronger the jet. Now, the dynamics of a jet are subject to the Earth’s rotation, a jet moving south will loose it’s “spin effect”, slow and start to move Poleward again. Similarly a jet moving ~N will gain a spin effect and turn right until moving ~S again. This induces a wave train (Rossby) that can be self -reinforcing with feed-back to/from the formation of surface Lows/Highs. Visualise the Jet as a rope tied at one end to a pole and you holding the other. Give the rope a sharp pull up/down. A wave will travel along the rope to the pole. If this is done at the right “resonant” frequency then a standing wave can be induced. Now remember that “above” the rope lies cold air, and “below” warm. So the warm/cold air-masses are dragged N/S along with the rope/jet. In my OP I forgot to mention geography re jet positioning. Air doesn’t like flowing over mountains, and the Rockies are the most sig range lying N/S in the NH. When it does go over, it wants to form HP on the windward and LP on the lee sides. Ie it wants really to get around them by curving to the north first the bending round to come more southward. N America therefore often suffers via a major cold trough and in some winters the bulk of the Polar vortex sitting over N Canada. (the PV BTW contains the coldest air in the NH in depth – from surface to top). It’s trapped because cold air means LP so all winds flow in – so it cant really loose it’s identity, you just get waves (ripples) in the jet around it, these forming Lows themselves. They really wind-up when meeting warm/wet air coming up from the Gulf and dump snow/freezing rain up the E/NE side. This fixed lobe of the PV means the jet turns NE’ward across the Atlantic and has brought mild ( but lately stormy ) weather to the UK. This mildness extending right to the Urals. Another consequence up stream of you is the jet moving N across E Siberia and Alaska to take unusual warmth there. BTW: a CF will usually lie behind a CF as it lies in the warm air lofted over the cold as it drives forward. Another view of NH cold spreading. Anthony Watts said that CO2 is a greenhouse gas and I believe him. Humans have increased the amount of CO2 in the atmosphere which has caused AGW. There’s your “human fingerprint”. Thank you, Ryan Maue (and An-tho-ny) for generously providing us with such first-class information. Good ol’ Pacific Ocean — keeps us (in NW Environaz1land) cool in the summer and “warm” in the winter. I’ll never curse it for being too cold to swim in again. Suggestion: If your color scheme was not chosen due to its being the generally accepted meteorological practice (meh, even if it IS! ), changing it to a more intuitive one would help immensely to more effectively communicate. Perhaps my brain is anomalous, but, using black –> VIB –>G –> YOR* graduated from 0 to “hot;” and black –> shades of blue-gray for 0 to “super-cold” would make the graphic MUCH more easy to read. There are enough shades of each color in computer graphics, now, to cover all the temperatures. Well, just a non-meteorologist’s two cents’ worth. HOTTEST OF HOT WAVES ON RECORD. ; How It Struck Sweltering New South Wales in January Last. That’s “global warming” according to Stokes. What Australia does have at present is a record number of trolls spouting hot propaganda. ….Anyone can assert that there is a “human fingerprint” in natural global warming. But assertions are meaningless when they are baseless, such as Martin’s assertion. Simply looking at a chart and saying, “AHA! I see a human fingerprint!” means nothing…. But Smokey there IS a “human fingerprint” in the temperature record! You can see it here and here. Jo Nova has several threads on the Australian temperature records listed HERE. …. however I think the repercussions of a loopy jet stream, (I think Dr. Tim Ball uses the more respectable word “meridianal,”) (however spell-check prefers “loopy,”) may be to somehow click a switch and kick the AMO from warm to cold…. Actually it is probably the other way round because the oceans are the big heat sink. Wrong again. There is no “human fingerprint” measurable in current global warming. None. Any “human fingerprint” is too tiny to measure at current CO2 concentrations. There are no empirical measurements anywhere that can show a portion of global warming attributable to human activity. Such real world measurements simply do not exist. The graph you posted does not show anything but natural variability. The reason is clear: at current CO2 concentrations, the warming effect is so tiny that it is not even measurable. Almost the entire warming effect took place in the first 20 ppmv. Now, there would need to be a really huge influx of CO2 into the atmosphere to be able to measure any rise in temperature at all — far more CO2 that all the world’s industrialized nations could produce together. There is no “human fingerprint” discernable, and thus, no human-caused global warming has ever been measured. People who believe they are seeing human-caused global warming simply do not understand the basic radiative physics of CO2. Like Chicken Little, they are needlessly frightening themselves over something else. I see lots of very similar hockey sticks in your chart, Martin. They are no different at all from the little Mann one you’re panicking about. No different at all. Cold kills many more than warmth. Didn’t you know that? Martin, it doesn’t take a huge new city to tweak temps near a Co-op. A small asphalt parking lot or a caretaker with a taste for barbecue could easily bias the record more than the fractional increase you and Nick Stokes have mentioned. If you haven’t been reading here, stay tuned. As for the substance of your second quote… “CO2 is a greenhouse gas…(and) “Humans have increased the amount of CO2 in the atmosphere”… You cannot get from these two facts to your conclusion that humans have caused global warming. Not even a “human fingerprint”, in my opinion. I got it, Gail. #(;)) Good show. I should ignore the record hot temps we are having in Australia right now then (because they are faked by the BOM after all) and put on a thick jacket and beanie (like that guy who posted here about his friends in Thailand) so that I don’t freeze to death. 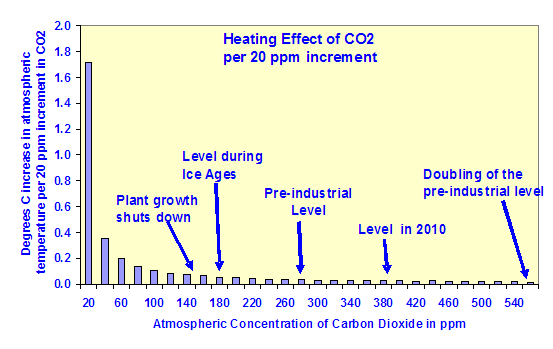 How cold would it have to get to condense CO2 out of the atmosphere? It was 126 degrees warmer in Corona California today than in International Falls Minnesota last night. I guess they could use some of our local warming and we could use some of their (or anyone else’s!) rain. Could someone please remove the big persistent High from off the coast of OR/WA please! We need some rain and snow in California and it’s getting desperate. In July 1998 I went to Cairo to sign some lease agreements. We went to Luxor for the weekend where it was (reportedly) PLUS 52C. It was 126 degrees warmer in Corona California today than in International Falls Minnesota last night. I guess they could use some of our local warming…. YES! We are forecast for lows ten degrees or more below normal. Martin has not figured out that extreme highs and lows are the result of “loopy” ( meridional ) jets which seem to be connected to a quiet sun. Effect of the modulation of the Polar-night jet oscillation (PJO) in winter time by the 11-year solar cycle is examined by the observational data from 1979 to 1999. It is found that zonal wind and the E-P flux anomalies appear commonly in the subtropical upper stratosphere in early winter of both the Northern and Southern Hemispheres as a response to meridional UV heating contrast. These zonal wind anomalies are found to propagate poleward and downward with development as a seasonal march in both hemispheres. 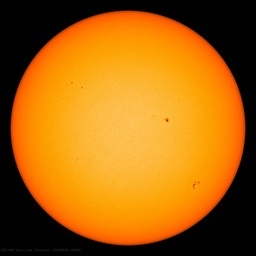 Although the length of the record is limited, it is suggested from the available data that the signal due to solar activity appears as the time evolution of the PJO triggered by solar forcing at early winter in both hemispheres. Differences in the signals between the Northern and Southern Hemispheres during late winter are explained in terms of the different characteristics of the PJO in each hemisphere. A significant temperature signal is also found to appear in the Southern Hemisphere in late winter under a solar maximum condition. The BOM comes out with the same press release every January now that it has been infected by warmists. Later, we will find out from the satellite record that 2013 was no warmer than average. It certainly didn’t feel any hotter. A couple of hot days in Jan – it’s Australia, stoopid! I have removed the recent warming adjusting for global low cloud levels, there is no human finger print left. Remember to be warming the 1st, 2nd, 3rd need to occur regularly regarding global temperatures, depending on the state of ENSO. For example 5th, 8th, 10th etc just means it is cooler than it was previously. Staying relatively warm doesn’t mean it is warming. Warming is caused by increasing the energy levels further and only way to do that generally is to be no. 1. Winters during the upcoming years will get even colder and most likely by 2018/2020 will be much colder than today. Already the winter temperatures of Northern Hemisphere , Contiguous US, most of Canada, Europe and UK have been declining since 1998. The winters could stay cold for the next 2-3 decades. Land locked areas like Central US, Central Canada (especially the Prairies); Central Europe and Asia which do not get the moderating effect of the oceans could have colder winters than the coastal areas. In United States , since 1998, the climate has been changing . Winters and fall are cooling and summer and spring are warming . The net effect is flat annual temperatures with no global warming. So why is the government spending $22 billion a year to fight global warming when money is needed more urgently in other areas? The chump-in-chief thru the EPA is working to further bankrupt the country — supposedly to keep us even colder. Thanks alot, bro….. In United States , since 1998, the climate has been changing . Winters and fall are cooling and summer and spring are warming. The net effect is flat annual temperatures with no global warming. summer and spring are warming. I agree with most of what you said but here in North Carolina the spring and summer was down right CHILLY. We had a total of 5 days with highs of 90 and 91F (32C) and only one day of 95F (35C) My white clover never died back this summer but the summer Bermuda grass was finished by the last of September. Jeff McMasters has wiped all the historical data for my town and the surrounding area! Due to technical problems with the GISS webserver, some interactive content, such as creating scientific plots using web forms, is disabled. Someone with a suspicious mind would think…. There has also been general agreement that Low Solar activity causes same via a “top-down” effect of warming via destruction of O3 via Galactic Ray or UV incidence. This primarily affecting European winters anomalously (LIA and recent low solar activity too). You were doing alright until the above. The heat-engine that is weather is driven from the bottom up. …You were doing alright until the above. The heat-engine that is weather is driven from the bottom up. 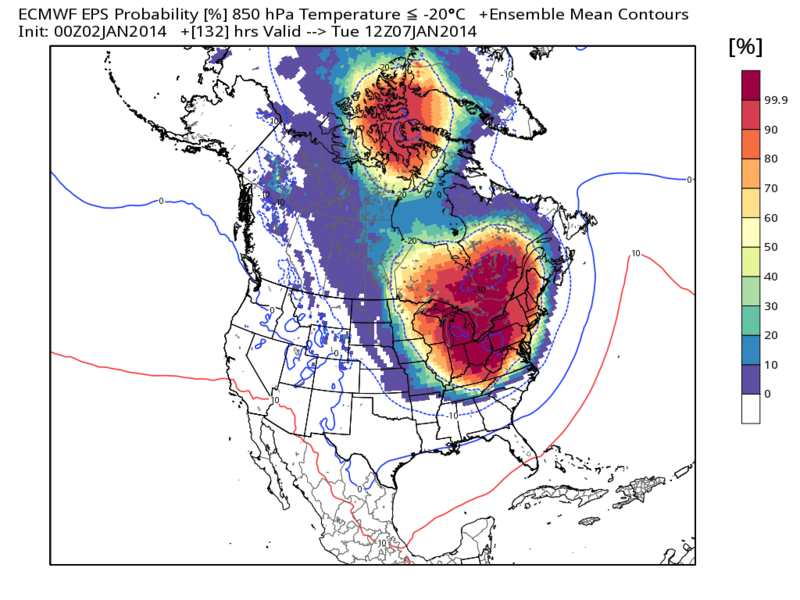 One thing that should be pointed out regarding the 2m vs 850-hPa “controversy” going on here is that when it gets “THAT COLD” – temperatures well below zero F in much of the CONUS, the temperature at 850-hPa might well be WARMER than the surface temperature at 2m, depending on several factors. Usually when it gets below zero Fahrenheit, the absolute coldest readings occur in sheltered areas of low elevation at the surface, not 1400m up. When it is that cold, the coldest air sinks. The forecast is for 1 degree as a low here in Owings Mills, MD next Monday. Granted, that’s a decent summer day for you morons living in the Upper Midwest. But that’s pretty nasty for this area. I don’t think we’ve been close to zero for over a decade. I remember when I moved out here (from Central California) in 1995. That first winter, we had a big blizzard and one morning when the temp was -1. Quite the shock to my system! But I love seasons, so it has been lots of fun. I can’t stand wind when it’s this cold, but that’s why G-d created the great indoors. We’ve actually got windchill watches out for the area, which I don’t recall seeing before. It may be a part of the new forecast system they’ve instituted out of the NWS in Sterling. No, I’m correct. The correlation in low sunspots with cold European winters has been know of for decades but it’s only really in the last decade or so that evidence/observation has emerge via satellite data of warming induced at the top of the Stratosphere (most are still induced via bottom up warming BTW – like the one now forecast to occur). I’ve been following NH winters since my retirement 7 years ago and I have monitored it happening via Strat diagnostics. Several researchers discussed how changes in the upper atmosphere can trickle down to Earth’s surface. There are many “TOP-DOWN” pathways for the sun’s influence. For instance, Charles Jackman of the Goddard Space Flight Center described how nitrogen oxides (NOx) created by solar energetic particles and cosmic rays in the stratosphere could reduce ozone levels by a few percent. Because ozone absorbs UV radiation, less ozone means that more UV rays from the sun would reach Earth’s surface. Martin, when record cold waves have been affecting South America for the past few years, you were nowhere to parade. In your blissful blindness you do not realize that high pressures agglutinations fed by renewed polar air masses are responsible for both cold snaps during winter and heatwaves during summer. This contrasted weather is hardly a sign of global warming as you would know had you studied paleoclimatology of Africa for instance. Sunday’s NFL game in Green Bay may have a chance to break the record for the coldest NFL game in history. Hopefully the players, fans, and support staff are careful so there are no cases of frost bit or hyperthermia. And Sunday’s game at Green Bay might be even colder than that. According to the Milwaukee Journal-Sentinel, the bad forecast for Green Bay’s game against the 49ers got worse. According to AccuWeather, the high will be minus-five degrees, the low will be minus-20 and the wind chill will be … MINUS-51 DEGREES. No wonder Green Bay was having trouble selling out this game. The “Ice Bowl” is the coldest game in NFL history, at minus-13 degrees. The coldest game in NFL history in terms of wind chill was the Chargers-Bengals AFC title game in January of 1982, at 59 degrees below zero. This game has a chance to threaten both of those records. What should we expect trying to play football in the grip of a brutal ice age? There’s a reason for all those domes. I can’t bear to watch athletic millionaires exposing themselves to frostbite, hypothermia, etc. “global warming” doesn’t cause “warming” for everybody…. The overall temperature of the earth (NOT local temperatures) rises. This causes changes in global weather patterns resulting in extreme weather: really hot weather in some places (2013 was the hottest year on record in Australia and they had an incredible amount of desertification and fires because of lack of rain )..
…and in other places, like the north east and Minnesota (this year got the longest stretch of cold weather and also the coldest year on record..-49 degrees!!! ..it’s really cold. What should we expect trying to play football in the grip of a brutal ice age? There’s a reason for all those domes. I can’t bear to watch all those millionaires in danger of frostbite, hypothermia, etc. Mod – Please remove the rbissett777 post above. Thanks. The “continental USA” includes Alaska. You mean “coterminous”. sharing a common border; touching.